You are here: Home / Life and Inspiration / Good intentions..but……. I have loads of good intentions – I want to exercise daily, I want to paint regularly, I want to write everyday, I want to work towards publishing a book….on and on it goes. Lately, I’ve been thinking on whether a person or a group having good intentions is enough, especially when those good intentions don’t always have good consequences. Remember, that saying, ‘the road to hell is paved with good intentions’? One classic example of a good intention gone wrong was when Asian carp was introduced into American waters to keep them clean. What was not anticipated is that these fish are so aggressive that they began to feed upon the native fish species, threatened the ecosystem and grew so big that they jumped up in the waters causing boating accidents! Let’s think about something that happens to us almost on a daily basis in India. We stop at a traffic signal and a child or children might approach us for money. Their eyes and their bedraggled look is enough to make us feel guilty about sitting in the comfort of our car, while they have to beg for food. We want to help – a good intention. So we whip out some money and hand it over to them. What often happens is that the kids have to turn this money over to their ‘boss’ – part of a begging mafia. Have we helped the child or perpetuated a crime? Have we eased that kid’s hunger or our own guilt? To read the rest of this post, please go to Sunita Rajwade’s blog ‘Mumbai On High‘ where I’m so happy to be guest posting today. Sunita and I have met only once in person, but like she says we meet every day online. She’s a delightful lady, very talented and has the ability to surprise me ever so often with her take on things! Thanks for the opportunity, Sunita! Beautiful. I couldn’t agree with you more, we have good intentions but sometimes we do get failed results. Loved your post, it is very enlightening. Thanks for sharing. Great post! When I was in active addiction my mother would enable me, unintentionally. I knew that she had the best intentions for me, she wanted me to succeed and have fun like normal people. I would use this to my advantage, which now I can look back on and regret. Although she had the best intentions for me she was only crippling me by avoiding the conversation. Eventually, the truth came to light and I was able to go to rehab and begin my journey of recovery. I have good intentions today to make amends to those who I took advantage of when I was at my worst. Thank you for sharing. It’s crazy how easy it is for us to enable the addictions of the people we love. I’m so happy you have managed to make a recovery. Heading to your guest post. I loved that quote. 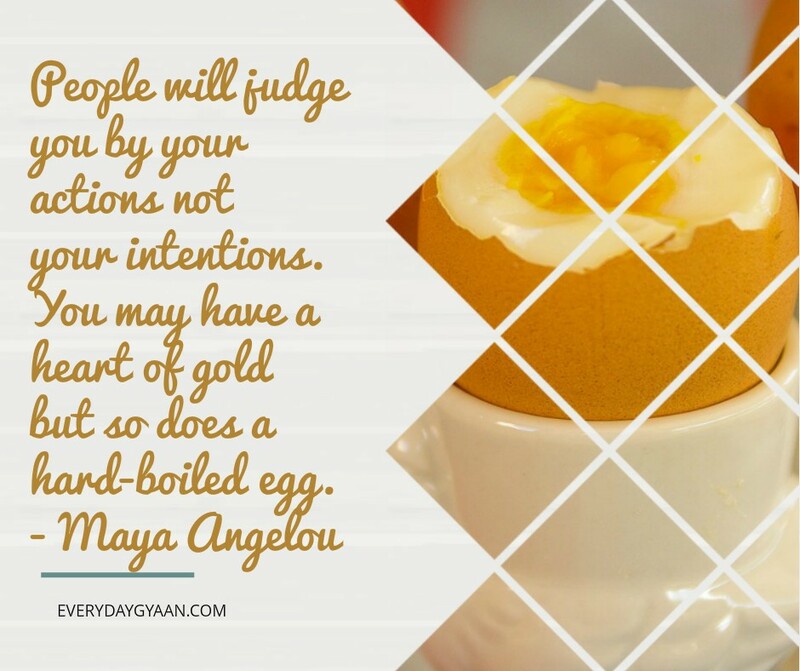 So true – intentions do not come out in the open as much as actions do. Excellent post! I could not agree more. So many plants and insects have become invasive after someone had good intentions that I cannot begin to count. And as you mention, there are many other damaging examples. I hope you are having a lovely day! Yes, so many plants have been imported and harmed the local ecosystem in India too, Darla. That saying about hard boiled eggs got me thinking. Intentions really is what matters most. Loved reading your guest post. Your solution of providing food makes more sense than money. I always carry food packs when in India, and never give money to children. What you describe is something I call “unintended consequences” and the United States is full of examples. Let’s see, there’s the man who decided to import every bird mentioned in Shakespeare’s works, leaving the United States with a starling problem. There’s the person who decided the United States could use a new ornamental vine, but the choice, kudzu, now chokes out trees and plants all over our South. Some insects released where they don’t normally live to control pests have become, themselves, pests. Yes, that road to hell is well paved.